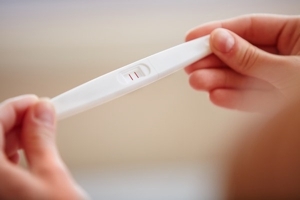 Pregnancy Symptoms: What are the Early Signs of Pregnancy? Thankfully, cases where women experience no signs of being pregnant right up until the moment where they are shocked to find themselves in labour are very rare. For most women, the signs and symptoms start very early on, although some are subtler than others. If there is a possibility you are pregnant, then you may already be experiencing some of signs we detail below. If you have any concerns about any of your symptoms, then it’s best to seek medical advice as soon as possible. Think you might be pregnant? Whilst no two pregnancies are alike, there are some common symptoms that can occur during the early stages of pregnancy. For most women, the first noticeable symptom is that of a missed period. However, some women will simply experience a lighter period and, therefore, not suspect pregnancy straight away. Furthermore, many women experience implantation pain around the time that their period is due, which is very similar to normal period pain. This is where the fertilised egg attaches to the womb and in some cases this can also cause light bleeding, leading to some women mistaking the process for their period. Therefore, a missed period might not be your first indication of pregnancy. The most accurate way that you can determine whether or not you are pregnant is to take a test. However, it’s worth noting that whilst a positive pregnancy test result is considered to be very accurate, negative tests are less reliable. This is because the tests you use at home detect the hormone Human Chorionic Gonadotropin (hCG) in your urine. This hormone is produced following implantation of the fertilised egg into the womb, but in the very early stages of pregnancy there may not be enough of the hormone present in your urine for the test to detect. If you think you might be pregnant but have had a negative pregnancy test result, wait a week before trying again. If you get another negative result then its best to seek medical advice, as your symptoms may be indicative of something else. If you are concerned about any of these symptoms then you need to seek medical advice, either from your GP, Midwife, or the NHS non-emergency 111 service.